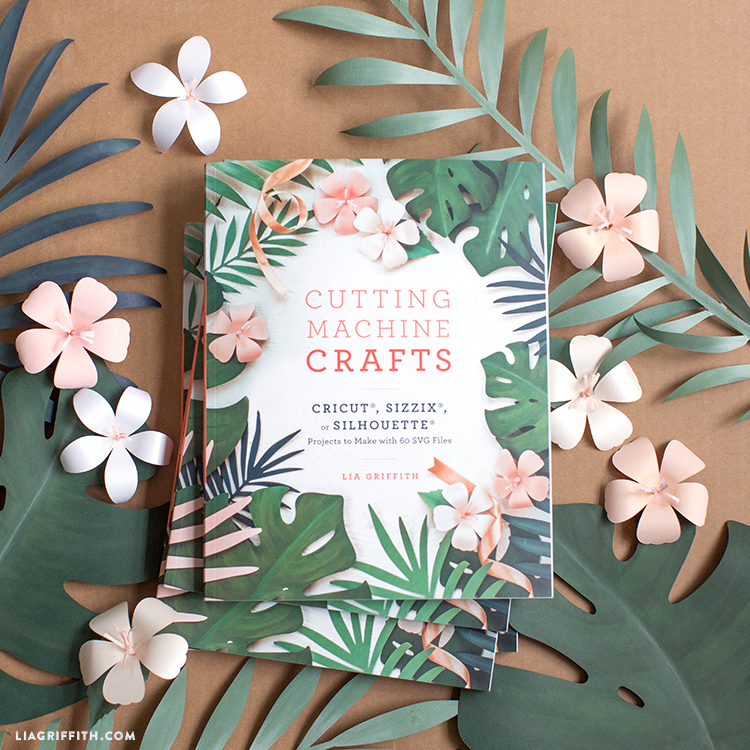 These last few weeks I have shared some of my favorite winter holiday projects from my new book, Cutting Machine Crafts. I say winter holiday because I feel that most of these decorative paper projects are perfect from Thanksgiving through Valentine’s Day. 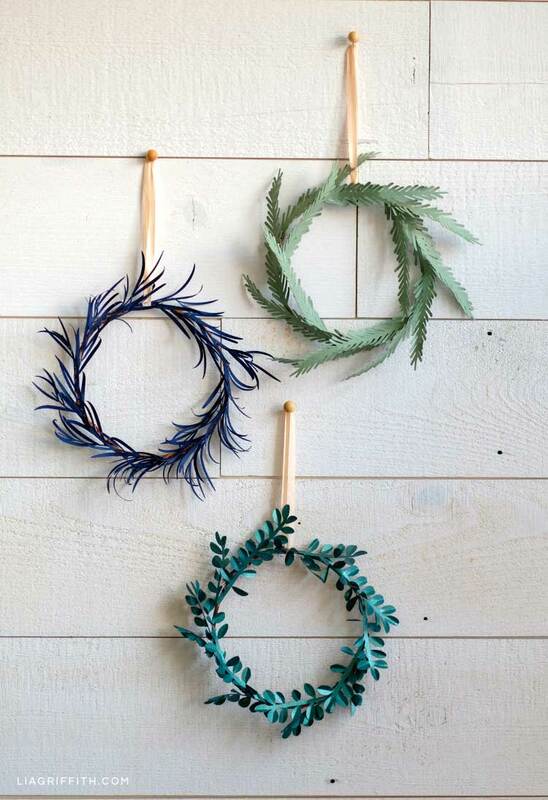 And these mini evergreen paper wreaths are no exception. Winter months can be infused with a bit of cheer when you add a pop of greenery to your living space. 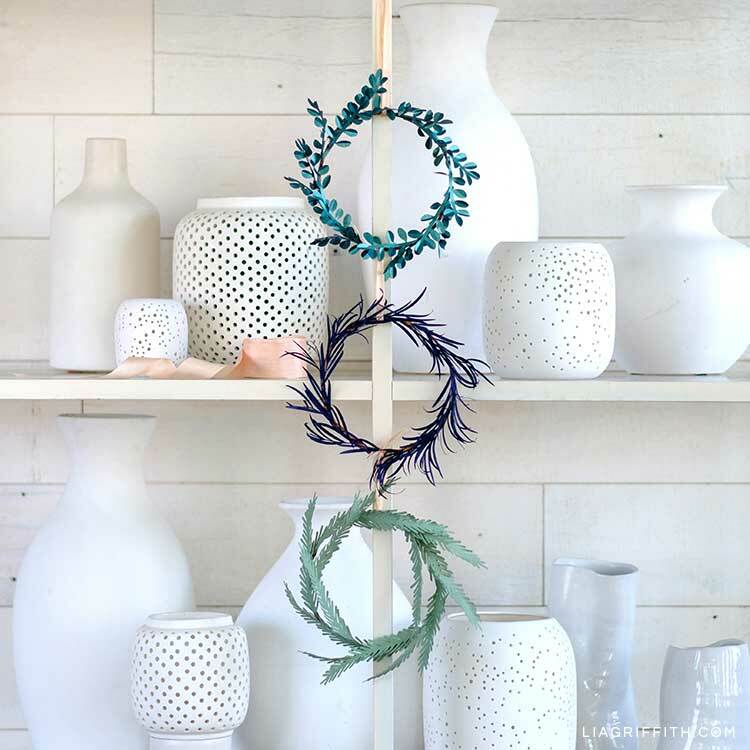 These mini evergreen wreaths are simple to make–and they look so stunning! Inspired by a simple Scandinavian style, I created these mini evergreen paper wreaths using fir, pine, and boxwood shapes. Once you’ve cut your leaf patterns, you can easily form a wreath using brown paper-covered floral wire. Simply attach your evergreen pieces around the wreaths for the complete look. 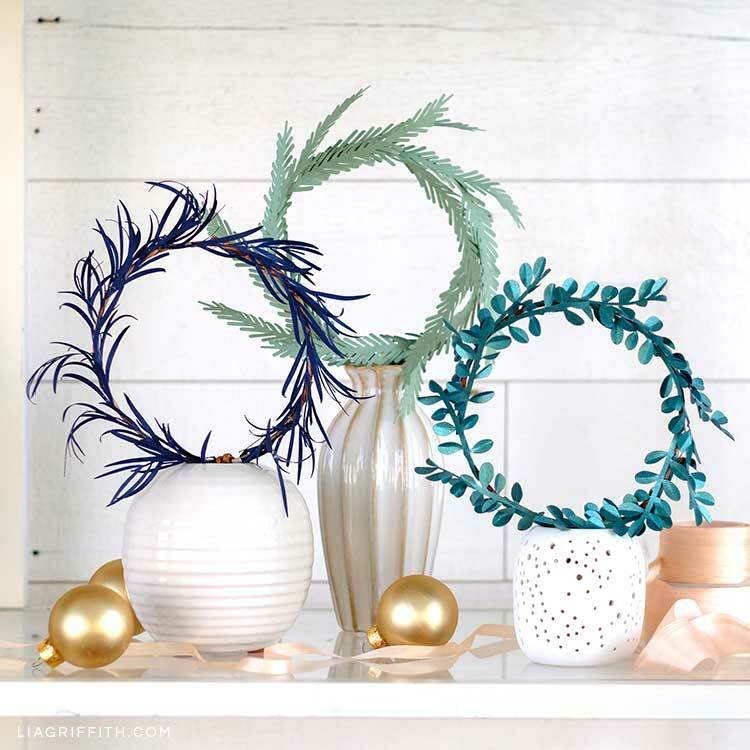 I have used these mini evergreen paper wreaths as topiaries placed into a vessel, hung them on the wall with pretty ribbons, and created a pretty gift topper by tying them into the ribbon or string. You can find a similar style of these wreaths with the printable pattern and the cut files for your cutting machine in this post for our mini DIY paper holiday wreaths. For more holiday DIY inspiration, make sure to follow us on Facebook, Instagram, Pinterest, and YouTube. We also offer many other holiday templates, SVG files, and step-by-step tutorials for our members. Also, don’t forget to use the hashtag #MadeWithLia when you post pictures of your own versions of our DIY projects on Instagram. This makes it easier for us to see them and repost them! Please are darling. So elegant and inspiring. I am in awww, simplistic beauty!